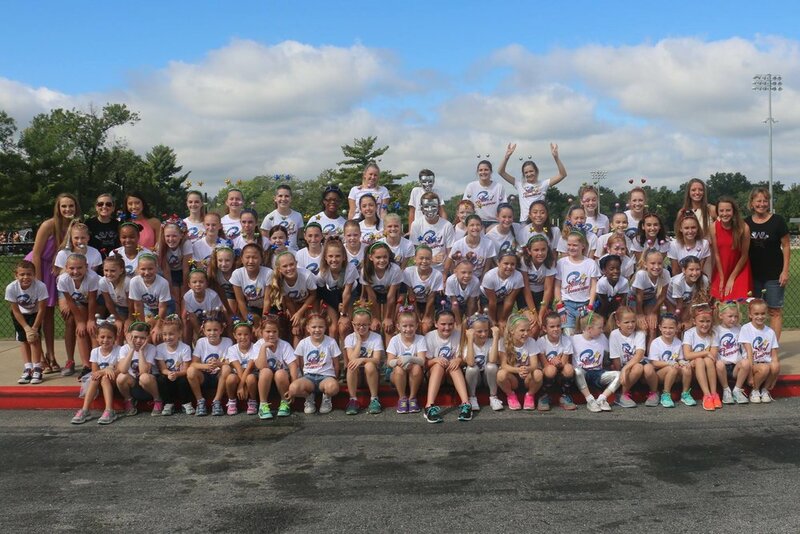 GREAT JOB AT THE GREENTREE PARADE…..SEE YOU NEXT YEAR! ARRIVAL LOCATION: Kirkwood High School Dougherty Ferry parking lot on the NORTH side of the school. ACCESSORIZE: Rock n Roll accessories, for example, tutus, scrunchies, fun earrings, mitts, leg warmers/socks, scrunchies, hair color, mohawks, side ponytails, teased up hair. We want to look FUN and ready to ROCK this parade!! If it is chilly you may wear your SOT jacket or a Rocker type sweatshirt. NO Nail polish or RINGS please. WATER: We will have water for the dancers during the parade. RESTROOM: You can use the restroom at the High School before we leave. PARKING: Parking is ONLY permitted on this lot, NOT the Essex lot. Children may be accompanied from the Dougherty Ferry parking lot to the Essex lot. PARENT VOLUNTEERS: We need parents to walk, hand out candy, carry the banner, etc. CANDY: We bring candy but we always run out no matter how much we buy. Please bring some candy. We need LOTS AND LOTS of candy. JUDGING: DO NOT BE LATE. The committee does the judging BEFORE the parade begins while we practice prior to the actual start. SHUTTLE: There is a SHUTTLE that runs from Meramec Community College to the high school beginning at 8:00am to 9:15!! OUR PLACE IN THE PARADE: Our Parade Line Up number is #29!! The actual parade starts at 10:00am. PARADE ROUTE: It travels down Essex, then South on Lindbergh and finally West on Argonne to the END at the Kirkwood Community Center! AFTER THE PARADE: Please pick up your children AFTER WE have completed the parade! Because we are Entry #29, do not wait until the ENTIRE parade has concluded. The teachers will remain with the SOT students, until you pick them up at the Community Center. There is NO PARKING allowed on this lot. We will also have THREE convertibles for our amazing Seniors: Brianna, Merissa and Rachelle! THIS IS A SPECIAL MEMORY FOR OUR DANCERS. TAKE LOTS OF PICTURES & HAVE LOTS OF FUN. WHAT A GREAT WAY TO KICK OFF THE SOT SEASON!